Hospitality is listed in the Bible as a spiritual gift. But anyone can become better at hospitality if they just practice. Essentially, hospitality is making people feel welcome; and when you open your home for a dinner, a business meeting, a holiday party, or a one to one conversation, you can offer hospitality and make your guests feel welcome. I learned hospitality first at home. My mom and dad often had people over after work, especially in the summer, for a backyard cookout. It wasn’t anything special, really. It was just burgers on the grill and a lounge chair seat. But people liked to come, and we had a few single people who became regulars—almost part of the family. My father always made people had something to drink—even when I returned home as a “guest” after I married, he was caring and attentive to my needs. When I met first met my husband and began joining his family for Sunday and holiday dinners, I learned more from my mother-in-law. She always had a beautifully set table, serving dishes, and frequently, little favors at each table setting. She silently taught me about the little “extras.” I learned through observing. When my husband and I had been married for quite a while, we began to host Easter breakfasts at our home when our church stopped having them. We lived near to the church during those years, and it was convenient for our friends to have breakfast at our house. This is when I learned that my husband had also picked up some things from his mom, and probably his grandmother, too. He was the cook at these breakfasts, as he had previously been at church. His little extras included warming the plates so the food would stay hot, warming the syrup for the pancakes, choosing attractive serving dishes. This is where I took on the role of table setting. Fortunately, we had received some lovely things as gifts when we were married, and this was an opportunity to pull those things out of storage and use them. This home had more storage in the kitchen than our first home, and I was able to keep those items in an accessible place. One of the little extras I used was individual salt and pepper shakers—one at each place setting. Extravagant? Maybe. But I had them, so why not use them? W hen we moved again to an older home and began hosting our families for Thanksgiving and Christmas, I began to hone my skills as a table setter. 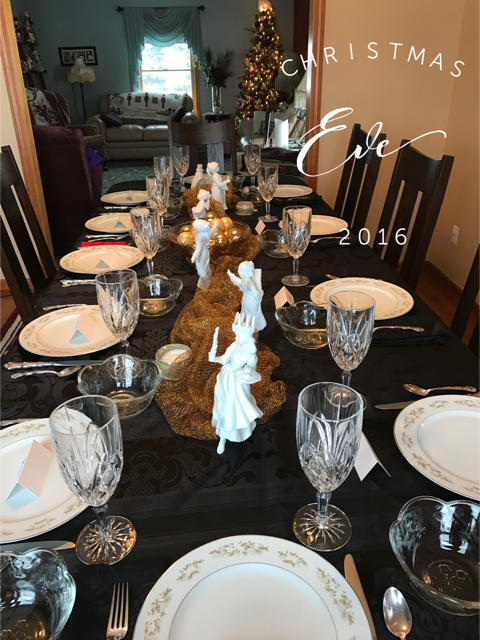 My goal was for my guests to feel that the holiday was special and they were special. I wanted them to be filled with delight at the setting, even if they only experienced it at a subconscious level. I am not always good about planning ahead, and I would sometimes get bursts of creativity at the last minute, forcing me to rush around and sometimes improvise. But over the years, I have gathered a lot of things for my collection for table settings: my mom’s silver table service, cloth napkins, napkin rings, colorful tablecloths and placemats, water goblets, a varied collection of creamer and sugar sets, butter dishes, gravy boats, platters, a punch bowl (for larger crowds, which I bought at an auction for $2.00 and it included the cups), centerpieces, handmade name cards, holiday dishes, and figurines. One year, I took a Christmas poem I had written (but you could use any appropriate poem), and I printed it, pasted it on a colorful construction paper background, and set it at each place setting. As the family grew, I hosted wedding and baby showers. Now here is where I gathered some help. 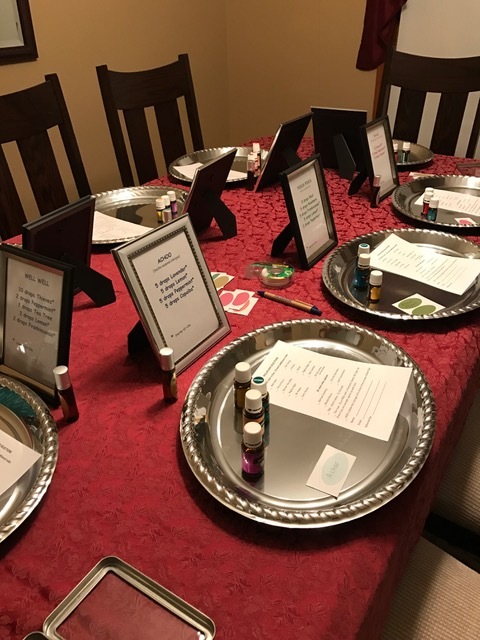 I am not great at the gift favors, and I recently enlisted my sister-in-law to help with those for a shower I was hosting. There is nothing wrong with enlisting the gifts and talents with others to assist you in your hospitality. N ow, I have a home business, and I sometimes host gatherings in my home. Though not as elaborate, I try to take the same approach so my guests will feel comfortable and special. Everyone wants to feel special, and the little extras show that you have taken the time to care. I recently hosted a customer event at my home. I learned from others who had shared and then modeled my event after those. I purchased what I needed to make my customer event uniquely mine. And I bought everything at the dollar store, so I didn’t need to break the bank to pull this off. I didn’t have a specific plan when I went into the store. It developed as I found what was available. I found silver (plastic) trays and silver frames, so I had a theme going. I had already purchased gold and white dispensers I needed, and I thought those colors would work well together. When I went out to buy more frames, I ended up with black ones. Okay, still works. I just went with what’s available and made it work. I chose a coordinating color tablecloth, and I was ready. 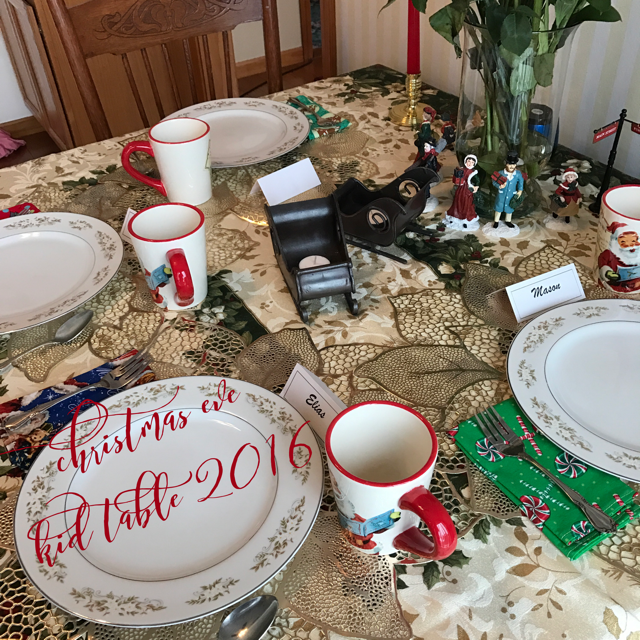 Maybe you don’t feel table setting is your gift, but you can still be hospitable. Perhaps you are a great cook. You notice I don’t talk about the food for any of my events. My husband does the cooking. I make some things, but I stick to the few dishes I’ve mastered and don’t try to get too wild with new things. And when it’s a business meeting or a make and take, food isn’t the focus so simple is best. Or maybe decorating cakes and cookies or making desserts is your specialty. Make a dish that makes your guests feel special. And it doesn’t have to be formal to be hospitable. I admit, I used to use the good china for every occasion, but I finally figured out that smoked ribs in the summer don’t require a china plate for a picnic setting. I’ve succumbed to paper—but I always buy Chinet plates. Thick and heavy-duty so the plates don’t sag in the middle when loaded with food. You can also find lots of fun and colorful, seasonal, tableware at a dollar store to spice things up, even if it is just a centerpiece. Each of us has something unique to offer when we invite guests into our home for a dinner, an event, or a meeting. If hospitality is your gift, this is your chance to shine. And if it isn’t, you can take one or two ideas to add something special for your own guests. The most important thing is to be there to greet them, introduce them to people they don’t know, and then, relax and enjoy them. They came to see you.